TCM, Traditional Chinese Medicine has a history going back some 5000 years. It is based on the wholistic principle which recognizes the link between mind, emotions and the body. As an “energetic” healing science, it understands the electrical flow of energy through the meridians of the body and bases its effective action on balancing this energy flow and removing blockages in that flow. Various conditions are described that are “excess” or “deficiency” states that can be corrected through appropriate methodology including the use of acupuncture and the use of herbal medicines. 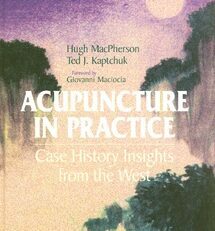 This first volume of the series focuses on the theory, principles, diagnostic methods and treatment modalities that are an essential part of the practice of Traditional Chinese Medicine. 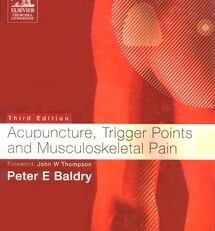 It is intended to not only provide the background and theoretical framework for the reader to understand the viewpoint from which TCM starts in its understanding of human health, but also gives the reader systemic insight and practical information to permit meaningful application of these principles. 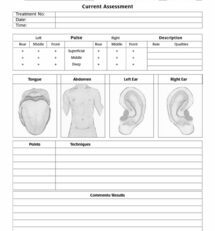 The diagnostic method known as the Four Diagnosis is described. This method includes interrogation, observation, palpitation and listening. The underlying attempt to gain an insight and understanding into the state of the Qi (the flow of energy within and outside of the body) of the patient and discover what can be done to bring it back into balance and harmony. Dr. Tierra does an immense service in revealing, ina clear and comprehensive way, the valuable system of health and healing known as TCM. In volume two he goes on to provide and extensive Materia Medica and herbal resource organized and developed for the Western practitioner. 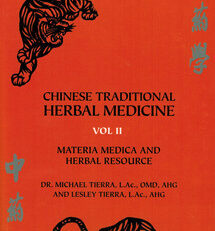 After developing the Materia Medica the book goes on to indicate the use of Chinese herbal formulas and the treatment of specific disease conditions. 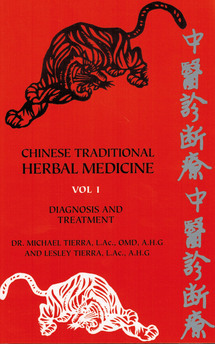 The book also provides a number of useful index listings, including Latin name, Chinese name, and Chinese Herbal formulas, as well as a general index. D. Tierra’s long experience in clinical practice and his multi-faceted background in te field of herbal healing provide and insight and understanding that illuminates the subject for the educated lay person and professional alike. 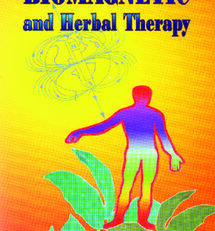 Dr. Michael Tierra, L.Ac., OMD, A.H.G., is the well-known herbalist author of The Way of Herbs and Planetary Herbology. He has an extensive background in teaching, clinical practice and formulation which he brings to the present work. While trained in numerous herbal traditions, including Western, Native American, Ayurvedic etc., he has a special experience and background in the field of Chinese Traditional Medicine which has always been his first and special focus. 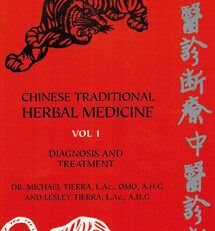 Lesley Tierra, L.Ac., A.H.G., is a California state and nationally licensed acupuncturist and Chinese herbalist. She is in clinical practice in Santa Cruz, California with her husband, Michael. She is a founding member of the American Herbalist Guild and lectures extensively throughout the world of herbal medicine. 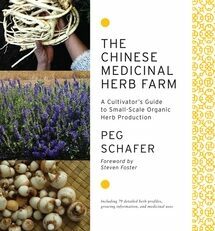 She is the author of The Herbs of Life (Crossing Press) and dean of the East West Herb Course.